View the threads amethystsm has started. Leave feedback for amethystsm or read feedback left by other members. View the member feedback amethystsm has written of others. My favorite website is: this one, of course! 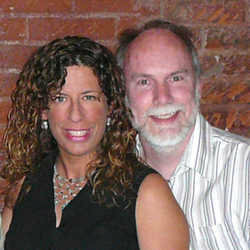 "Eric and i in July 2008 at my favourite restaurant in STL, Frazer's."